Syracuse blues, from the Onondaga Nation band Fabulous Ripcords. No doubt, Fabulous Ripcords can rip with the blues. I’ve been appreciating these guys’ talent for years, since my time covering the Syracuse scene for the big daily. I remember walking around the outdoor festivals, spying them on an outdoor stage, and stopping for a song. Two. Three. Half the day. Well, that’s a bit of an embellishment, that last one, but you get my drift. Irv Lyons on guitar and vocals, Scott Ebner on keys and vocals, Rex Lyons on guitar and vocals, Jay Gould on bas and Phil Regan on drums can flat out play the blues. With a nice rocking edge, too, I want to add. Now, their manager, Kimberley Rossi of Indigo Productions, reminds me with a message, the Fabulous Ripcords are up for a prestigious award. If you get your click going, you can get on board, too. The band is nominated for debut group of the year at the Native American Music Awards. The ceremony for the 15th annual edition for NAMA, as the ceremony is often called, is Nov. 14 at the Seneca Allegany Hotel & Casino in Salamanca, N.Y. Rex (Onondaga) and Irv (Oneida) both grew up on the Onondaga Nation. Seneca also is a member of the Iroqouis, the confederacy of First Nations throughout upstate New York. Although the Fabulous Ripcords have been together a dozen years, this was the first time the band submitted their work to NAMA. Several other Central New York bands are also nominated. Rossi dropped a copy of the Ripcords’ CD into my mailbox. The 11 songs are what the blues are all about, a smooth ride with enough rough spots to let you know the drive could be dangerous. Delicious instrumentals feature the rich guitars of the Lyons cousins, and their steady vocals are blues as they’re meant to be, too. The rhythm foundation of Gould and Regan is unshakeable, and Ebner’s key work is fast and furious enough without being too flamboyant. Here’s the link for the Fabulous Ripcords’ site. Here’s the link for NAMA voting. Are you a fan of the blues, and why or why not? Have you been aware that there’s been a Native American Music Awards organization that’s 15 years old, and if not, will you investigate and pay attention now? What’s your favorite blues song and artist, and why? I do enjoy the Blues Mark, although I don’t have a favorite group. I wasn’t aware that there was a Native American Music Awards – it sounds like a good idea. The NAMA organization is country wide, but I think it’s upstate New York location is perfect. There is so much Native tradition and culture here. It is over the border in your country, too, Paul. Do you study it there? I talk about it with my Native friends here and love to learn. My grandmother enjoyed her brown liquor music. There you go, back to history, Kim. Never heard of this before. So many genres of music to stay on top of! like the blues for sure, but don’t know much about. I went to a blues fest once and that was cool. Or maybe it was bluegrass? The two must be related, though they’re distinctly different styles. What do you know about their evolution? 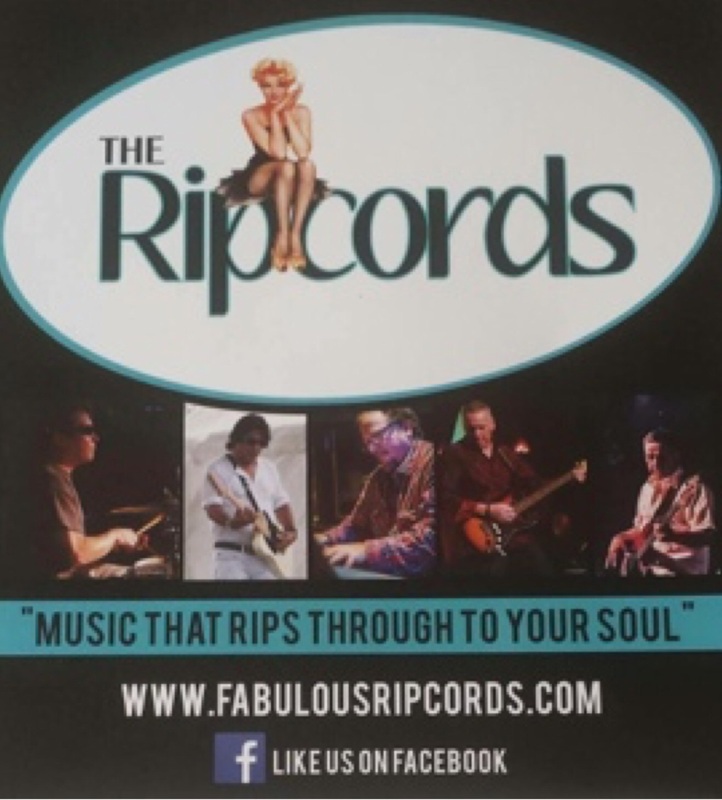 Liking the Ripcords poster. Lots. Yes, they are cousins, Liz, and let’s throw in jazz and R&B and soul and then rock, too. But the sound differences sure are more striking than the similarities at first blush, you know? It has to do with time signatures and chord progressions, but, not being a musician nor educator nor theorist, I feel the most thorough explanation is left to one or all of those. I just know the thread was woven through all. Cheap Trick is coming to The House of Blues next month…totally off topic, but I’m excited about it. Love the 80s! Blues music is my go to most days. Not off toplic at all, Aud. I love Cheap Trick. ‘Surrender’ is one of my favorite sing-along rock songs ever. I mean who doesn’t like to bellow “rolling numbers, rock n rolling, got my Kiss records oooooout. Mama’s all right, daddy’s all right, you just seem a little weeeeird.” Yeah. I feel good just saying it in my head as I type it, Red. Robin Zander singing, the guitarist playing the guitar that is shaped like the guitarist. Classic. I was driving home while listening to Surrender on our classic rock station here in Houston, and when it was over the DJ gave us the news. I’m pumped! Yeah, I have a feeling I could listen to you talk music all day long, Mark. Keep it comin’… Classic, indeed. The music is top-notch, and they are all of Native American heritage, the band musicians. It’s a cool thing, Jeanette. Hi Irene! Clapton can play blues, rock, everything and anything he wants, for sure. Great to see you here. I hope you are well since you’ve moved to Spain, my friend. Thanks Mark. Last movement was from Catalonia to Spain around one month ago.